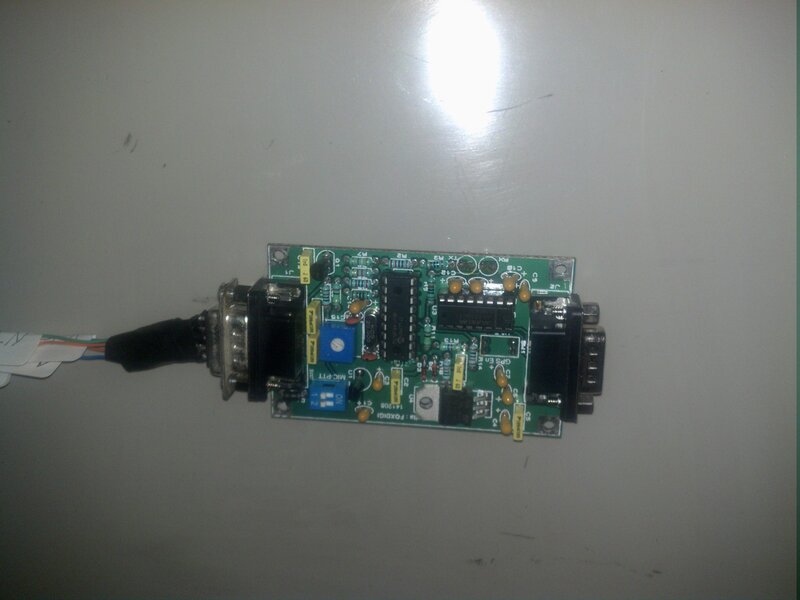 This is a FoxDigi kit from FoxDelta. This is what I will be using as a TNC / Controller. You can use any compatible TNC such as a Kantronics or MFJ. Here’s what the Desktrac looks like with the top cover off. This is a L53SUM70D0B model with the L139AN option. This is the stripped down version of a Maxtrac mobile radio. 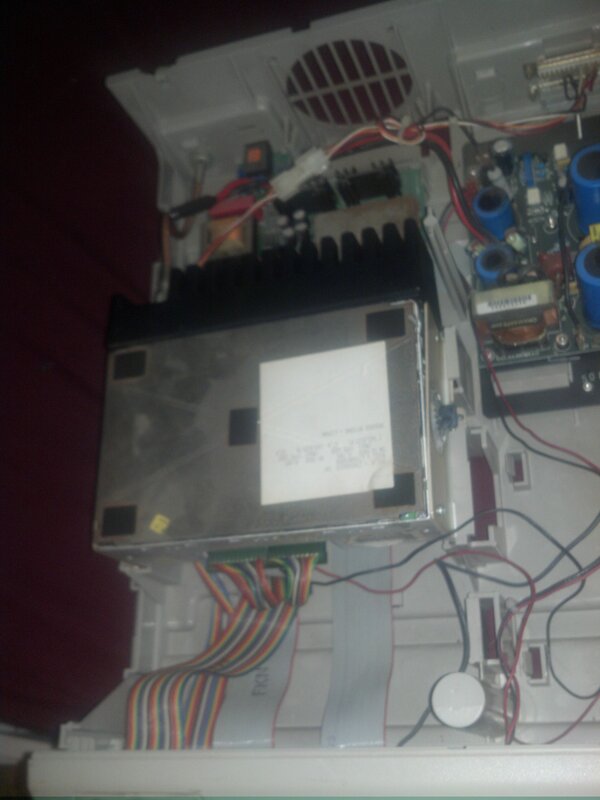 All functions are controlled by an external logic board underneath the radio itself and the front panel board. 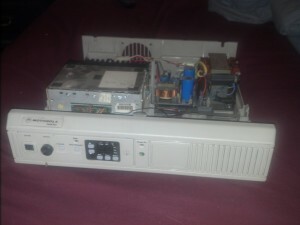 This is the built in 13.8 VDC power supply which comes standard with all Desktrac’s. This is the back panel of the Desktrac, for this project we will be interfacing with the ACC2 connector, which is the bottom DB25 connector. 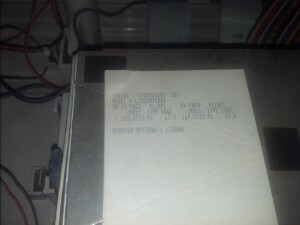 This is a close-up of the top cover of the Maxtrac inside this Desktrac showing the factory options and information. We begin by making a cable which will connect the FoxDigi kit (or another TNC) to the Desktrac. You will need a DB25 Male, a DB9 Male, and a length of 5 wire low voltage cable. Assemble the cable according to the pinout table below, which is specific to the FoxDigi kit and may require a different pinout for other TNC’s. 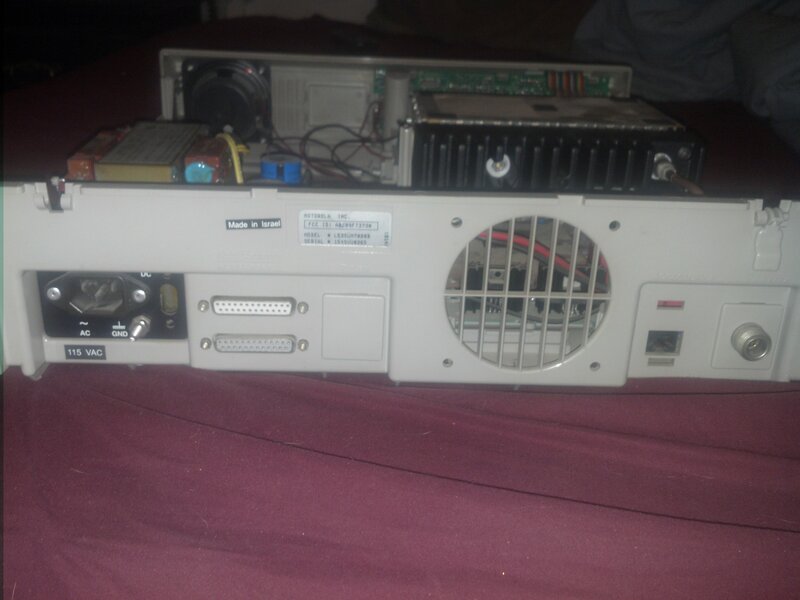 Since the Desktrac I have didn’t come with a cooling fan, I decided to add one back in. 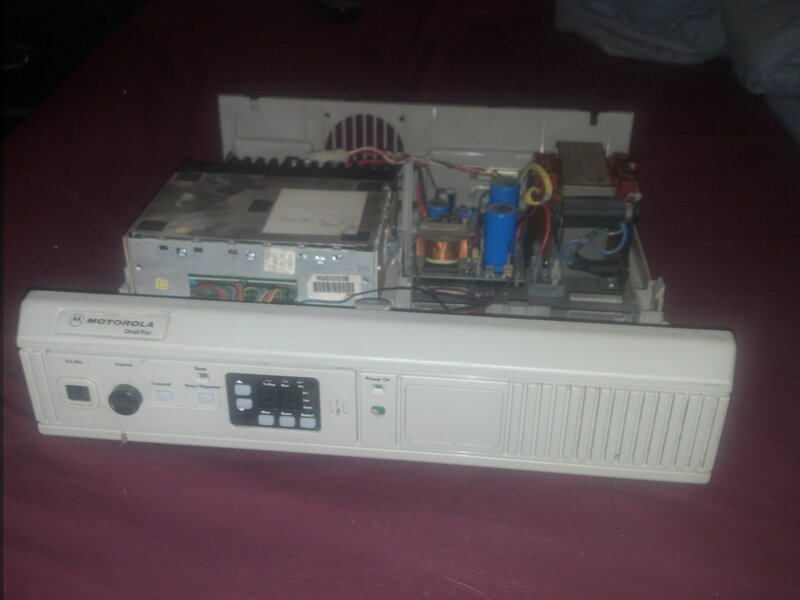 For now I am just using one of the spare outputs on the power supply board and letting the fan run continuously. 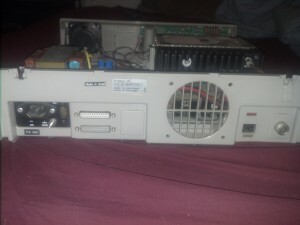 I will come back at a later date and insert a simple fan control circuit so that it only runs when the Desktrac reaches a certain temperature. I went ahead and replaced all the electrolytic capacitors while I was doing this modification, as they tend to leak over time. 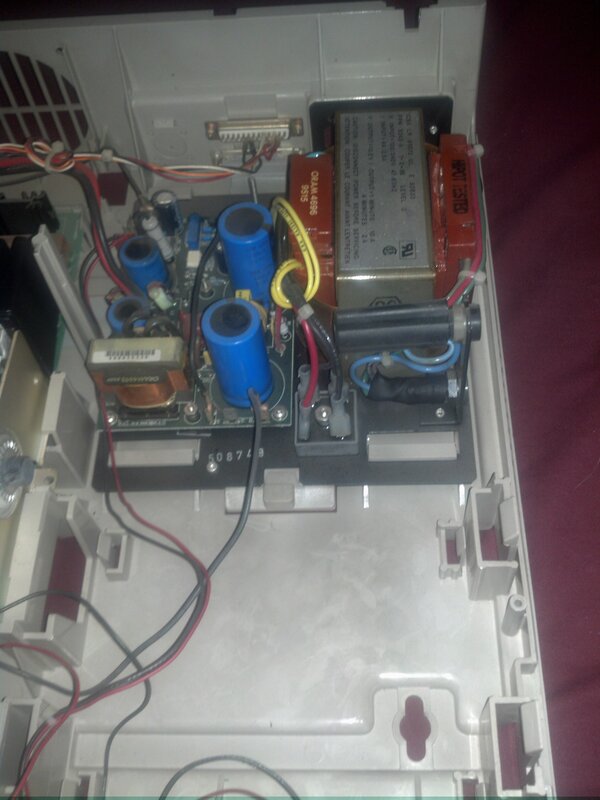 If you already have a 13.8 VDC power supply available, you can bypass and/or remove the internal one completely with minimal work. I am not including that in this post as I’m sure you can figure that out very easily. Now for some testing. Disconnect the power cable from the back of the Maxtrac, and the front panel. Plug in the IEC power cable to the back panel and check for proper 13.8 VDC out of the supply using a multimeter. If it checks out, unplug the IEC cable and reconnect both the Maxtrac and front panel cables. Plug in the IEC cable to the back panel again and let the Desktrac boot-up. At this point you should have a dummy load connected to the N jack on the back panel as we are going to be checking receive and transmit functionality. Using an HT, transmit on 144.390Mhz and check for proper receive operation on the Desktrac. Using the Transmit button and built-in mic on the front panel, check for proper transmit operation. If that all checks out, unplug the IEC and connect your TNC to the ACC2 connector on the back panel. Plug the IEC back in and check the TNC for proper operation. Adjust your audio levels as required. Make sure you test every function of the TNC’s operation before you close it up and take it off your bench. At this point you can remove the dummy load and connect a 2m antenna if you want to. Double check the BTEXT coordinates and other settings using another APRS radio, or if you can hit an IGate reliably, using a website such as findu or aprs.fi. Also check to see if it properly digipeats APRS packets. That’s it, this Desktrac is now working as an APRS Digipeater.